small holes, and spray foam attics/crawlspaces to retain heat and AC whether produced by fossile or clean-energy fuel sources. 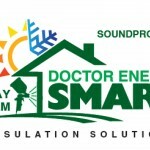 This entry was posted in Insulation Prescriptions on March 21, 2018 by John Weinssen. This entry was posted in Insulation Prescriptions on December 14, 2015 by John Weinssen. This entry was posted in Insulation Prescriptions on February 27, 2015 by John Weinssen. This entry was posted in Insulation Prescriptions on January 10, 2011 by John Weinssen. Drafts - Find & Stop Them! This entry was posted in Insulation Prescriptions on February 9, 2010 by John Weinssen.